Of all the gorgeous old-time movie palaces around, San Francisco’s Castro Theater might be my personal favorite. Everything about it feels magical, from the 1920s marquee to the scroffito wall murals that seem carved out of gold. 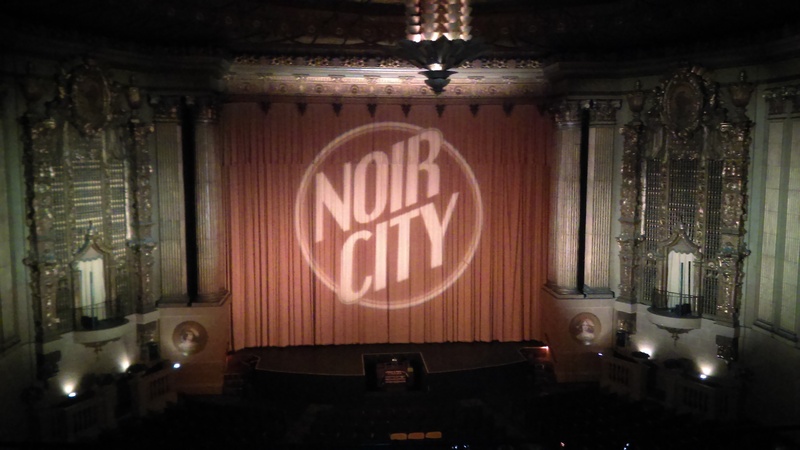 The Castro also plays host to some of the best programming in the Bay Area, including Noir City, which runs through Sunday. Noir City focuses, as you might imagine, on film noir, but with enough tweaks to irritate purists and excite everyone else. Programmed as a series of double-features, the festival includes some expected classics — The Asphalt Jungle, Criss Cross, The Killers, Rififi — but goes out of its way to broadly internationalize the affair and bring it up to date. The fatalistic Code-era visions give way to less-expected riffs and descendants, from Cruel Gun Story to Blue Collar to El Aura. Noir City closes with a double-bill of Before The Devil Knows You’re Dead and Victoria, implicitly but clearly arguing that our conceptions of noir should be freed from their 1950s shackles. All of the titles on this year’s program, regardless of the country they come from, feature two elements crucial to noir: the anti-hero’s ingrained self-destruction and a rueful acceptance of fate’s indifference to our best-laid plans. This narrative underwrites countless films, tragic or farcical or both. What’s more, as Muller also notes, audiences have always loved a good heist, from The Great Train Robbery in 1903 to the present. Noir’s sleight-of-hand is to both encourage our identification with the robbers, and then let us off the hook for this morally questionable allegiance by bearing witness to their ultimate, inevitable punishment, which we can see coming from a mile away. Good plans always go bad, because we are ourselves imperfect. As in classic tragedy, downfall usually comes from within — some fatal flaw, a little too much sentimentality, the one detail we overlooked. But it’s still fun as hell hoping the marginalized and criminal and clever pull one over on the gatekeepers of propriety and order. 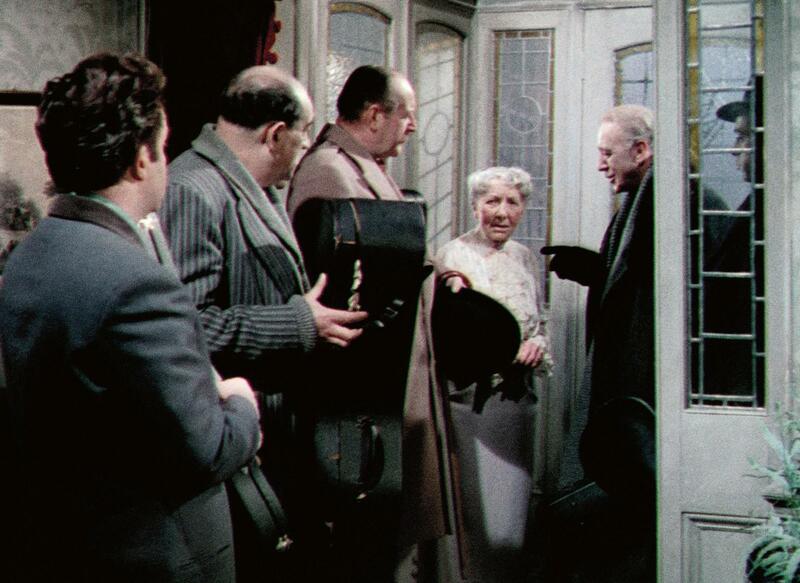 All of which is on display last night in 1955’s The Ladykillers, Alexander Mackendrick’s final film for Ealing Studios and its arguable masterpiece. Mackendrick would set sail shortly after for Hollywood — directing The Sweet Smell of Success before conflicts with Burt Lancaster drove him from the business — and its writer William Rose would find further acclaim with The Russians Are Coming! The Russians Are Coming! and Guess Who’s Coming To Dinner. But The Ladykillers is in a class of its own, the comic caper to end all others, and the most British entry in the noir canon imaginable. Starring a ludicrously false-toothed Alec Guinness, a pre-Pink Panther Peter Sellers, and the (eighth-billed!) Katie Johnson as a kindly old lady who accidentally foils the perfect plot, The Ladykillers is sharp, funny, and even tense. That tension comes from the contrasts and the absurdity: a gang of thieves and killers, posing as a string quartet, undone by a little old lady’s insistence on decorum. It’s a comedy of manners and slapstick affair in which (spoilers) basically everyone dies. Its final sequence is as black as comedy gets, but still manages to be as affable and pleasant as mid-day tea. Mackendrick and the Ealing production folks pepper the whole thing with loving detail: everything in the old lady’s house is off-kilter, leading the robbers to dub her “Mrs. Lopsided”; there is a strange musicality to the proceedings, whether it’s her squawking parrots, her hammering on the cold-water pipes, or the minuet the crew play as cover; the film’s color palette and sound design seem imported from fable. Rose’s script is pitch-perfect, marrying jokes (“He belonged to my late husband. I had four.” “Husbands?” “No, parrots.”) to heist-film hijinks. Is it a noir, though? Shouldn’t it be more dour? The fable of The Ladykillers is a comic and ironic joke about the condition of postwar England. After the war, the country was going through a kind of quiet, typically British but nevertheless historically fundamental revolution. Though few people were prepared to face up to it, the great days of the Empire were gone forever. British society was shattered with the same kind of conflicts appearing in many other countries: an impoverished and disillusioned upper class, a brutalised working class, juvenile delinquency among the Mods and Rockers, an influx of foreign and potentially criminal elements, and a collapse of ‘intellectual’ leadership. All of these threatened the stability of the national character. Though at no time did Bill Rose or I ever spell this out, look at the characters in the film. The Major (played by Cecil Parker), a conman, is a caricature of the decadent military ruling class. One Round (Danny Green) is the oafish representative of the British masses. Harry (Peter Sellers) is the spiv, the worthless younger generation. 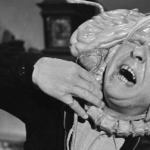 Louis (Herbert Lorn) is the dangerously unassimilated foreigner. They are a composite cartoon of Britain’s corruption. The tiny figure of Mrs Wilberforce (Wilberforce was the name of the 19th-century idealist who called for the abolition of slavery) is plainly a much diminished Britannia. Her house is in a cul-de-sac. Shabby and cluttered with memories of the days when Britain’s navy ruled the world and captains gallantly stayed on the bridge as their ship went down, her house is structurally unsound. Dwarfed by the grim landscape of railway yards and screaming express trains, it is Edwardian England, an anachronism in the contemporary world. Bill Rose’s sentimental hope for the country that he and I saw through fond but sceptical eyes was that it might still, against all logic, survive its enemies. A theme, a message of sorts, one that I felt very attached to. But one that it took quite some time for me to consciously recognise and appreciate. If the film’s director didn’t quite see this at first, we should take heart, even if it’s readily apparent once he points it out. 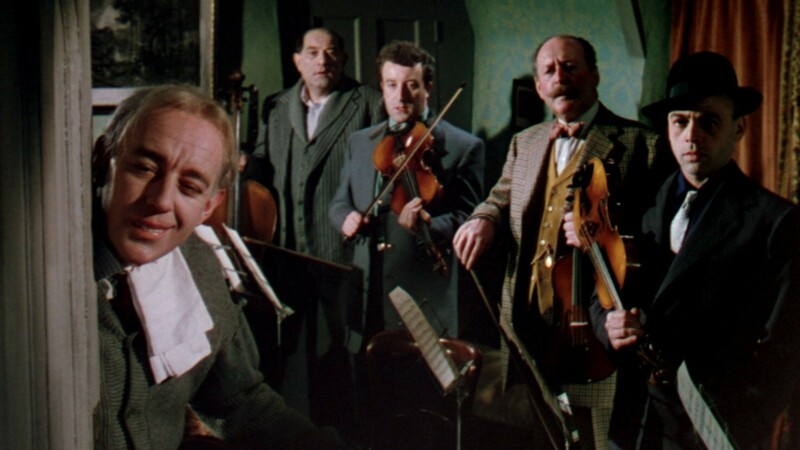 The overwhelming sense in The Ladykillers is a fun one, with its muttered asides, goofball interactions, and absurdities. The doomed nature of film noir makes clear that nothing good will come of all of this, at least not for robbers, but we can still laugh at the little mistakes that undo our best-laid plans. As Guinness’ mastermind points out, there’s no accounting for “the human element,” which has an insistent way of mucking up the gorgeous simplicity of theory. That’s noir in a nutshell.